PHILIPSBURG - Border control is the topic Members of Parliament (MPs) will discuss today, Friday, with Prime Minister/General Affairs Minister Leona Romeo-Marlin and Justice Minister Cornelius de Weever in a public Central Committee sitting starting at 10:00am. The meeting was requested by opposition MPs Frans Richardson and Rolando Brison of the United St. Maarten Party (US Party), and MPs Christophe Emmanuel, Jurendy Doran, and Silveria Jacobs of the National Alliance (NA). In November 2017, then-Justice Minister Rafael Boasman (US Party), on behalf of government, signed the joint regulation on border control, one of the conditions set by the Dutch government for doling out 550 million euros in hurricane recovery funds. The agreement is in effect and has an end date of January 1, 2020. A joint covenant is needed for any extension. 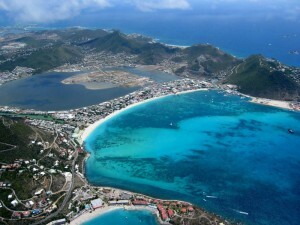 The joint regulation allows for extra input from the Royal Dutch Marechaussee and Dutch Customs Department for the control of persons and goods crossing St. Maarten borders during the country’s reconstruction. Tasks include drugs and weapons control, combatting migration and illegal streams of money. This support is similar to what has been done in other post-disaster countries to keep out unwelcome persons and goods.